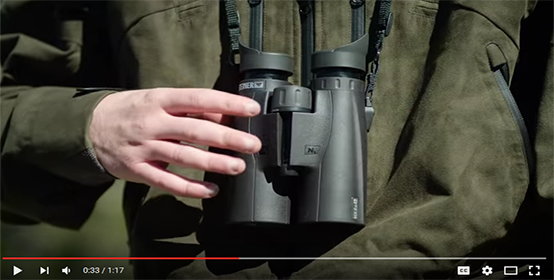 makes the HX binoculars easier to grip, more comfortable for extending scouting. are the result of new lens coatings that increase light transmission across the spectrum. helps you spot wildlife more quickly, at greater distances, than ever before. shield against side light and drafts for clear, crisp view. hydrophobic molecular coating creates a lens surface so smooth, water sheets off and dirt, dust, snow, and fingerprints are repelled. HX 10x56 is rated 5.0 out of 5 by 4. Rated 5 out of 5 by Rance from HX 10x56 Love these binoculars. Clarity of the object I'm looking for is phenomenal. Gathers light extremely well which is the reason I went with the 56. I'm happy with my purchase. Oh and by the way, the guys I hunt with said they are switching out their binos for Steiner so that tells me all I need to know about what I have! Rated 5 out of 5 by Jay Banks from Great product I have owned several different brands of binoculars but this will be the last pair that I will have to purchase. They have great light gathering. I can see clearly even after sunset. I have Steiner scopes on several rifles and they are also great products. Rated 5 out of 5 by RBJRBJ from User friendly - great characteristics Quick focusing, excellent field of view with great light and the 10x magnication allows for steady hand-held use (no tripod needed at 10x). Adjustable eyecups are a huge plus. The diopter is easy to calibrate and another plus. Rated 5 out of 5 by JMac from HX 10x 56 are Great Binoculars! I love these binoculars. The image is clear, crisp, and bright. The have been great during regular daylight, but have excelled during the early morning. Any of our porro prism binoculars will have the Sports Auto Focus feature. Those inclue the Military series, Military Marine, Marine, Commander, and Navigators. This model is still currently in production. We are expecting our first shipments in April. Yes they come ready to mount to a tripod. Hello Michael, The are being replaced with the HX10x56. Simply rebranding to increase demand on the product again. 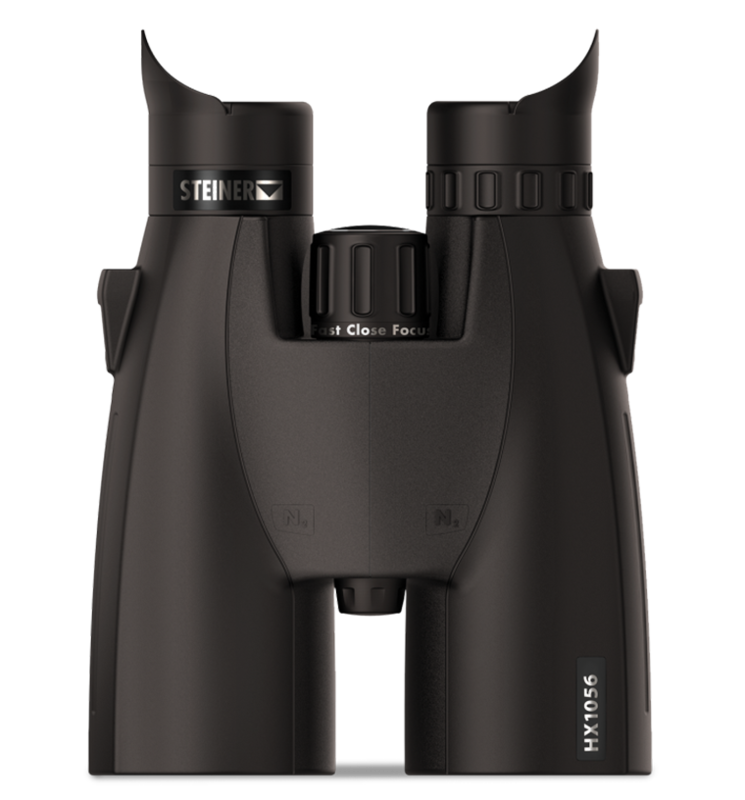 The HX is the direct replacement for the Nighthunter XP, so for the same size binocular (10x56) they will perform similarly, with the HX having the benefit of newer design and materials over the old model. I wear glasses. Do they work with glasses? The eye cups can be folded down for users with glasses. Is this model available right now?! Have a Nighthunter 10x56 and now cliclock harness. The only way I can attach the Steiner harness to the Steiner Nighthunters is attaching it to my existing Steiner neck cliclock system. Need the parts to make this work. Where?